Sriz Beauty Blog: Get All The Latest BollyWood Updates!!! Many of us love reading and watching all the B town updates,latest news, gossips,photo galleries,events.We can have a look on all latest Bollywood updates and even we can follow our favorite followers on Follo.in! While I was going through the Featured Gallery on the Follo.in,where they have featured 5 Best Instagram posts in which two are most funny! One is the sleepy Katrina Kaif's photo posted by Sidharth Malhotra when they were busy in promoting the film Baar Baar Dekho! She looks gorgeous even while sleeping.I am a big fan of her and love seeing those funny pictures of her! And the other one is about Anushka Sharma! 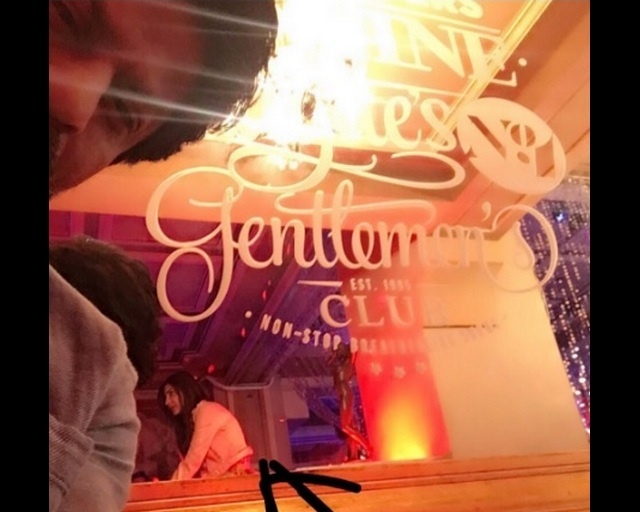 Anushka will be always in trending in one or the other news and now its funny to see her chilling in a Gentleman's Club in Prague while shooting for her film with Shah Rukh khan.Actually the picture has been posted by Shah Rukh Khan on his Instagram! These days I am getting hooked to the Follo.in as there are lots of segments to read like Bollywood Buzz, Star Quiz,Latest pictures and all the latest news about all the Celebs on the Site!!! Do have a look and connect with your favorite celebrities!! !